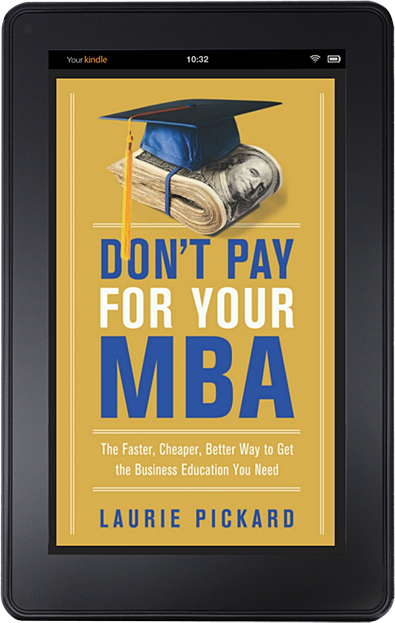 What's the real cost of a No-Pay MBA? What’s the real cost of a No-Pay MBA? Now, as my No-Pay MBA is drawing to a close (I plan to “graduate” in late spring of this year), I’m finally able to take stock of exactly how much my business education has cost. This exercise has been surprisingly difficult, as it isn’t always clear which expenditures belong in the No-Pay MBA account. For instance, I’ve paid dearly for a high-speed internet connection in Rwanda, where I have lived throughout this experience. But I probably would have paid for internet access no matter what, so the expense wasn’t solely or even primarily for my business studies. Same goes for my laptop, so I didn’t count either of those things, vital though they were to this endeavor. But other expenditures were trickier to classify. Was web hosting part of the cost of my education? Ultimately, I came up with a few different categories of expenses that were directly or indirectly related to my business education. At the lower end, counting only the cost of the education itself, I have managed to spend under $1000, about $795 to be more precise. But I haven’t pinched pennies in this project. I am a big believer in investing in myself, my career, and my personal development. Having saved over $100,000 on business school tuition, I felt free in this project to spend on anything that might enhance the value of my education. At the higher end, counting everything I’ve put into the No-Pay MBA project, including starting a business, I estimate expenditures upwards of $19,000. I got into this MOOC thing while the gettin’ was good. Consequently, I earned a lot of course certificates while they were still free. I am about to start my first Coursera Specialization, Essentials of Corporate Finance, for which I will pay $395. 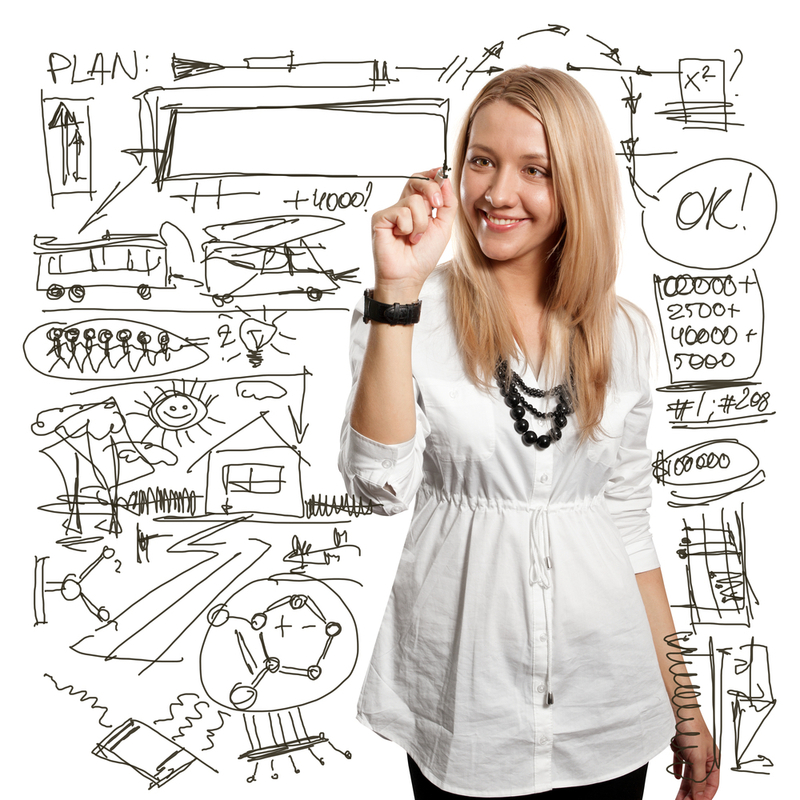 I took a fabulous (and fabulously discounted) course on branding from Made Vibrant for $50. I also had a subscription to Lynda.com for about six months at $25/month, which was great for brushing up on Excel and learning more of the practicalities of managing. I also read about 20 business books, most of which are displayed here. At $10 per book, that’s about $200 on books. The next category of costs associated with my No-Pay MBA iss creating and managing a website. While having a website wasn’t part of my business education per se, it was a vital part of getting the word out about the project. The website has also been a tremendous source of inbound traffic, and so has contributed greatly to my overall experience by expanding my network. As I said earlier, I started with a simple (free) Blogspot site. A few months into the project I got more serious and purchased a .com domain at a cost of about $60. Web hosting was another $8 per month on an inexpensive hosting site. I shelled out $69 for a nice theme from Elegant Themes (another affiliate. They make some beautiful stuff!). Finally, I paid for some serious help in setting up and search engine optimizing my website. That cost about $1000. And I was in business! Another key component of my education has been figuring out where I want to go with it and meeting the people who can help me get there. I am a huge believer in the value of coaching. I worked with a coach on several occasions during my education, primarily as a way of getting clarity around how to leverage my education in the course of my career. I even paid a pretty penny for one 90-minute session with a high profile executive coach. That session was so jam-packed with insight that it kept me busy for the better part of a year. Worth it, even at the cost of several hundred dollars. The best value service I took advantage of in the career development realm was the Career Leader assessment. This comprehensive inventory cost $95, and it helped me to understand that my greatest professional interests and aptitudes lie in product development, project management, and mentoring/coaching. That insight ultimately led me to create a business centered around those elements. Well worth a hundred bucks, if you ask me! Another big ticket item in the career development and network category is my upcoming attendance at the South by Southwest Education conference (SXSWedu). Attending an industry conference can be a great way to expand your network and introduce you to the latest greatest ideas in your field. Expensive, but again, worth it. Finally, by far the most expensive thing I did as part of my education was to start a business. Now, on the one hand starting a business wasn’t strictly part of my business education. It was more an outcome of the education. I’ve also earned back nearly all of the money I invested in my business within the first 8 months of operation, and I stand to be fully in the black within the next several months. But that initial outlay was significant, I could have failed, and by far the greatest value of starting a business has been educational. So in that sense, starting a business was part of my business education. I won’t go into too much detail, but between setting up my website for ecommerce, developing the portfolio feature on the site, registering a business and establishing a trademark, and hiring an assistant to help me with all the extra work, my investment in my business was 10X the investment in the education itself. So, as I said at the beginning of this post, depending on how you slice it, I spent somewhere between $795 and $19,000 on by business education. That might sound like a lot, but even at the upper end, it’s only about 1/10th of what many traditional business students spend on an MBA when you count all the expenses. What should you pay for as part of your business education? Clearly, there is quite a lot you can spend money on, even as part of a tuition-free business education. If you’re operating with limited resources, deciding what to spend your money on requires a great deal of discernment. At the risk of making this into an excessively long blog post, below are my recommendations on how to make the highest returning investment in yourself and your education. Despite Coursera’s recent changes in policy (students now have to pay to access quizzes and other assessments), there are still plenty of free courses out there. Platforms such as FutureLearn, edX, and Alison still offer many if not most of their courses for free. There’s also iTunesU, which is often overlooked given the focus on MOOCs, but they’re still offering a lot of great courses. When it comes to course certificates, I stand by my advice to be choosy about what you pay for. That said, a serious business student should probably do at least one rigorous series of courses all on the same topic. It may be helpful to get a certificate that covers that whole series, in case a future employer ever asks to see proof. At the free tier, there is a lot you can do in the networking department. 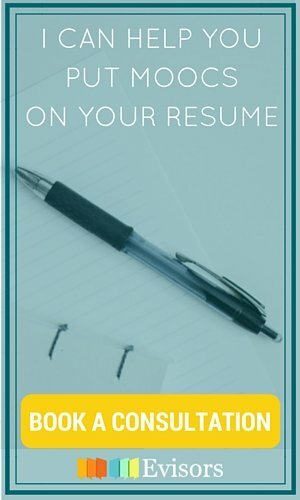 You should definitely have a LinkedIn account and a fully filled out profile. 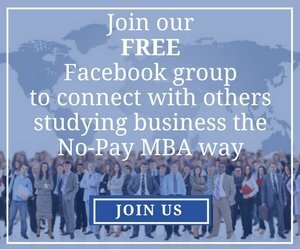 Free Facebook and LinkedIn groups provide some opportunities to meet professionals in your field, as do the course forums for MOOCs themselves. By far the best thing you can do to build your network is to make a habit of conducting informational interviews (more on that in a future blog post), and it doesn’t cost a penny. 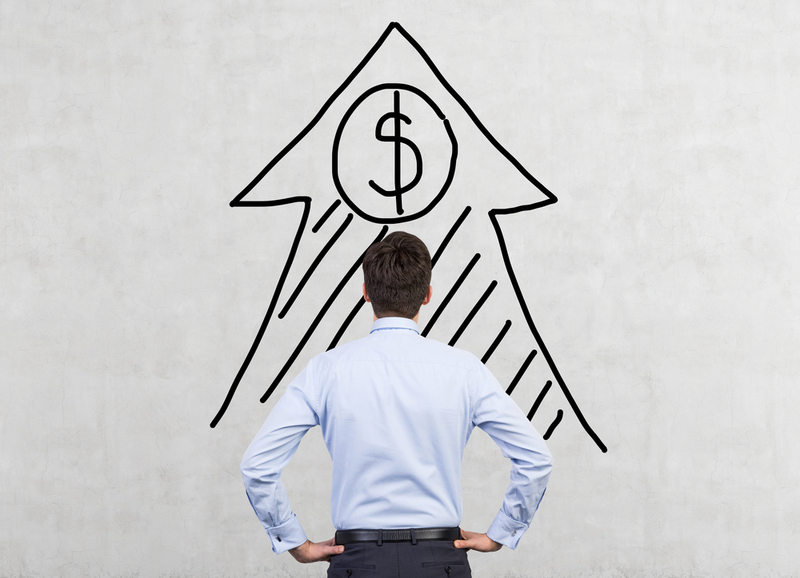 If you have a little bit of money to spend, coaching can be a phenomenal investment, especially if you are feeling stuck or are at a career crossroads. I also recently learned about a service called Evisors, which is a kind of hybrid between coaching and informational interviews. The service allows job seekers to book short sessions with people who work at the companies or in the fields they are interested in. As I mentioned earlier, I got a lot out of the Career Leader assessment. There are others like it, and they can sometimes reveal unexpected insight about where you ought to be focusing your career development efforts. Some colleges and universities offer free access to their alumni, so you may be able to get Career Leader or another assessment for free. If you don’t have that kind of access, Strengths Finder 2.0 is an affordable alternative. Industry conferences are also a valuable way to connect with professionals in your field. If the price of admission is too high, it may be worth it to show up at the event just for the coffee dates and networking opportunities, without actually attending any sessions. Getting out of the classroom and into the real world is key to a great business education. It’s free to apply your new skills at work, and doing so may even lead to a raise (as it did in my case). Volunteering or interning with a local organization or through a virtual placement requires some work to set up, but is also generally free. International travel, which you may be able to combine with volunteering or interning, is an important add-on to many MBA programs. International exposure is highly valuable, no matter what you plan to do. But of course, international travel can be expensive. Starting a business is an incredible, life-changing learning experience. It’s also difficult, risky, and expensive. But if you can swing it without draining your life savings or quitting your job, starting an entrepreneurial venture can be the ultimate business education. 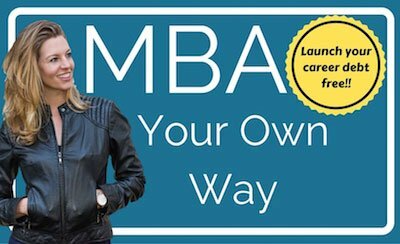 Finally, I would be remiss not to mention the No-Pay MBA Network, which brings together as many networking, career development, and experiential learning services as I can offer at a price under $20 per month. How do you get the best bang for your educational buck? Let us know in the comments below!